All Black Ngani Laumape and Kristen Stewart before the NZFW 2018 Jockey Show. Image by Phil Walter/Getty Images. 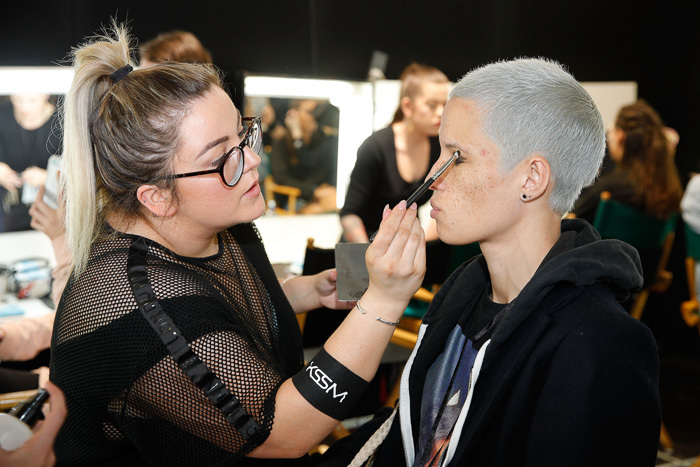 Makeup artist and makeup school director, Kristen Stewart, has been involved with New Zealand Fashion Week since the beginning. She started out studying photography before realising that makeup was what she wanted to do and spent a couple of years teaching herself before training in London. “I’d never worn makeup, I wasn’t really into it but I thought I’d really like to colour in people’s faces instead,” says Kristen. 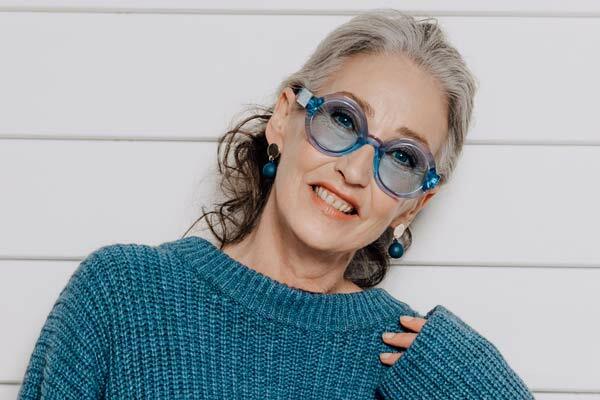 When her mother, Dame Pieter Stewart, founded NZ Fashion Week in 2001, Kristen jumped at the chance to be involved as a makeup artist and it meant she was also working alongside her sister Myken Stewart who became NZFW’s Brand Manager. 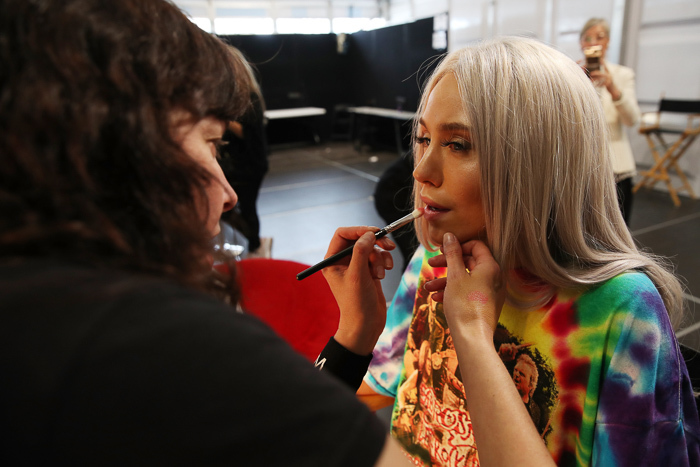 The event has truly become a family and business success story and during that time Kristen’s love of makeup has evolved into her own makeup school Kristen Stewart School of Make-Up (KSSM) that she founded ten years ago in Christchurch. The school is privately run and known for its innovative courses that utilise Kristen’s years of experience and creativity. 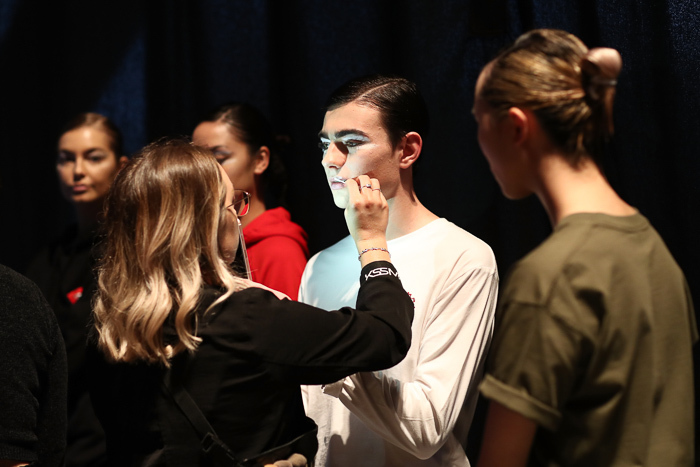 Her graduates are sought-after for their high level of training and professionalism, and as part of their work experience top students come to New Zealand Fashion Week to help Kristen and her team bring designer’s makeup visions to life for the runway. 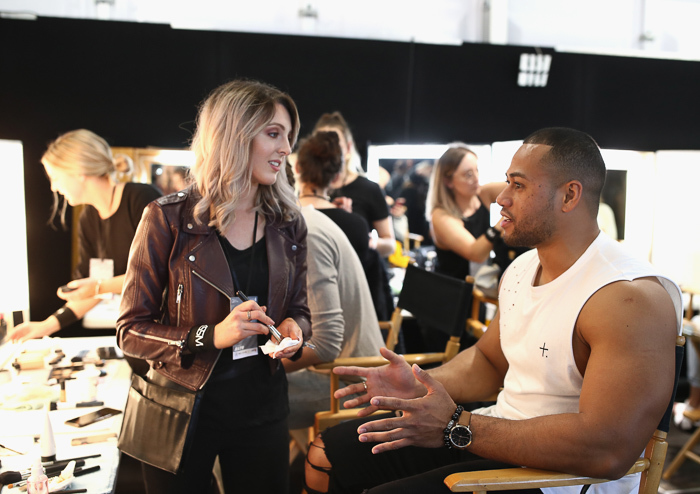 We caught up with Kristen to find out more about what a career in makeup is like, her favourite NZFW experiences and what she loves about teaching makeup. 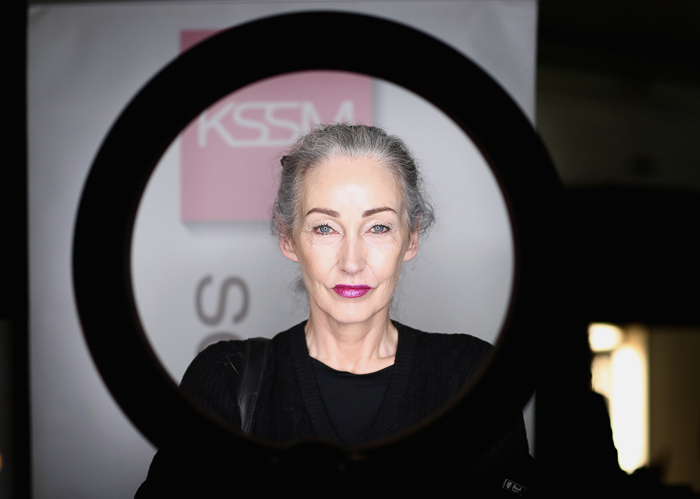 What made you set up a makeup school in Christchurch? 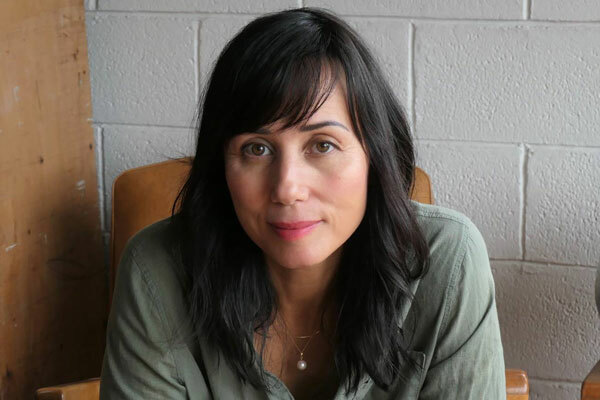 I had my daughter and I was already being hired by beauticians to train artists around the country but I couldn’t freelance as easily anymore. Having to get up at 4am just wasn’t going to work. I thought what can I do? And I’ve always wanted to do something like my school, so I did. 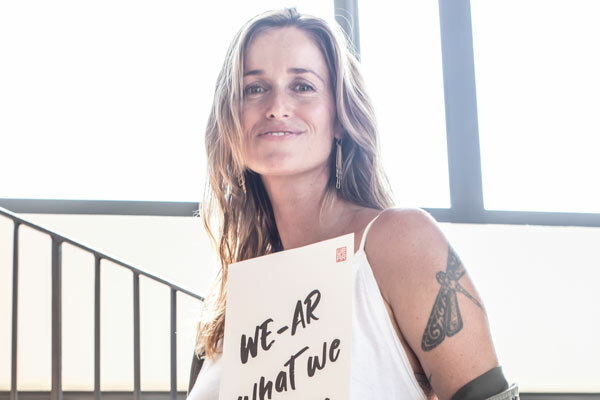 I gave myself a challenge – I didn’t want to be like any other school in New Zealand so when I started I had the only school of its kind in Australasia. I definitely started off slow, especially with people not being able to get student loans because I was not NZQA registered but it’s a good condensed course and enrolments have slowly built up. I had my first full course at the time of the February 2011 earthquake and we had to go and teach out of my mum’s living room because our building was no longer safe. That was hard but we built it back up again. What do you love about teaching makeup? I think I’ve got the right kind of personality for it and I like seeing people evolve from where they start to where they finish. I always make sure my students do a good job as they’ve got my name behind them. Most of the people that have done my course and really want to work in makeup are high achievers and are doing really well. We teach them everything they need to know, like the etiquette for backstage or on a photoshoot. The feedback I always get from people is how amazing my team is because we’ve taught them well and they know what to do and how to act. At the end of the course we have a professional photographer and professional models come in and each student gets two shots, a natural one in the morning and a full-on look in the afternoon. This means they get two photos for their portfolio which is really beneficial as generally it’s not your certificate that’s going to get you the work, it’s your work itself. I think that’s the hard thing to explain to people, even though you have a diploma that’s not what you need to show people, it’s that you can do the work. We’ve also now moved into a new premises with a photography studio, so our students can take their own photos. We always encourage them to take photos from the very beginning so they can watch their progression. They usually say at the beginning, ‘I don’t want to take a photo because it doesn’t look right’ but that’s how you learn from your mistakes and get better. They learn all the techniques and then it all comes together in the last three weeks of the course. Even though we’re assessing them as they go along it’s not until the end where they become their own artist, that’s where we can judge them on their style. 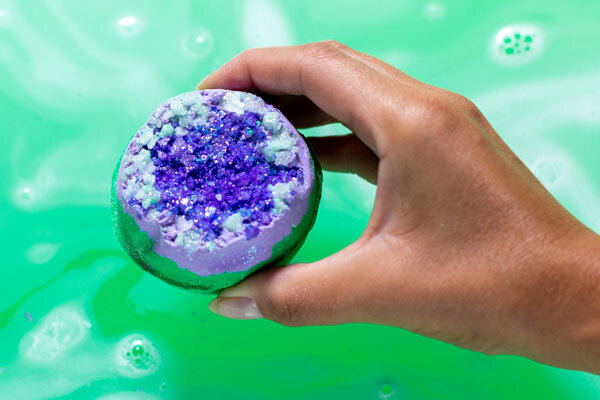 They generally do really well and I love watching what they create. 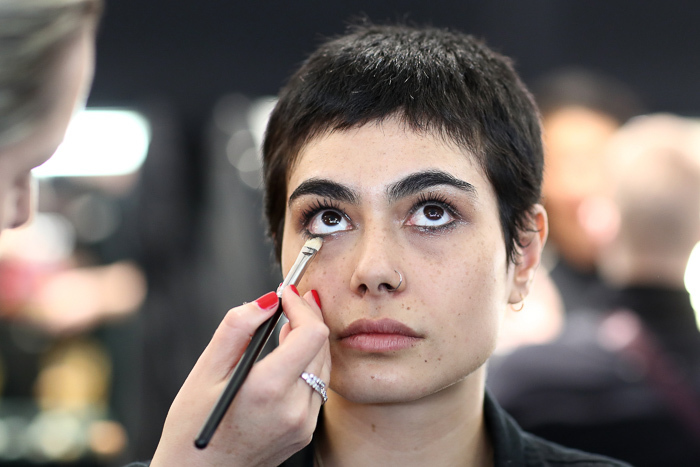 A model getting a makeup touch-up backstage by the KSSM team at NZFW 2018. Image supplied. 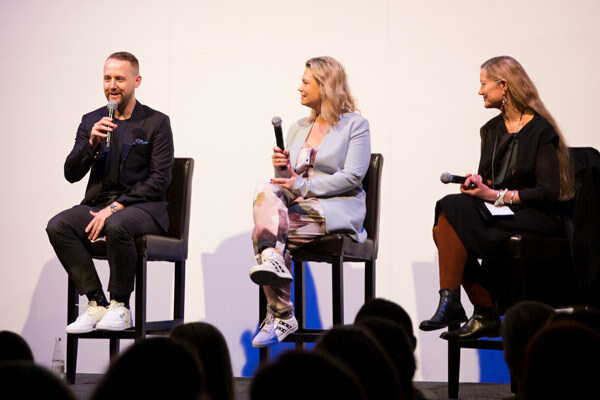 What has New Zealand Fashion Week been like for you and your team? I was going back through all the shows we’ve done and we started out with one or two and now we’ve got sixteen this year. That’s quite amazing. It used to be all the makeup brands but now we’ve taken over. I’m really blown away by the team this year. We brought up a core team of fifteen of us and fifteen students. This time the students actually got to work on the shows as well, not just assisting doing nails, they actually got to do makeup. 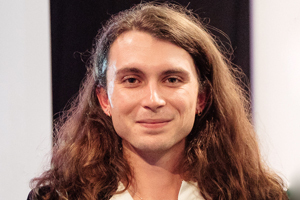 They get such great work experience, most of my courses get to do some kind of work experience whether it’s fashion shows in Christchurch or photoshoots. All the girls this time have flown themselves up to Auckland and they do it for the love of it really but they couldn’t it get any better than at fashion week. Is the experience different from doing events in Christchurch? Yes, and it’s the full experience here, you really get the full experience backstage, not like a much smaller show in Christchurch. All the show changes and the scheduling and making sure you’re being on to it not to mention washing your brushes all the time so you’re ready for the next one. It’s the things like that that are really good for them. It helps them decide if it’s the career they really want. How has the event evolved for you as the scale of it all has evolved? Everything has changed. When we started we were in the Town Hall and it was packed then but it was a quarter of the size it is now. Then we had it in the boat sheds and that was always interesting especially when it was raining and the place was leaking. And then the past seven years it’s been at the ANZ Viaduct Events Centre. It has certainly evolved and with the shows it changes every year, some years you get a lot of big names and others you don’t. For us it’s changed because we’ve been doing more designer makeup over the years compared to doing the group shows which is great. I love it, it’s been really fun but tiring. 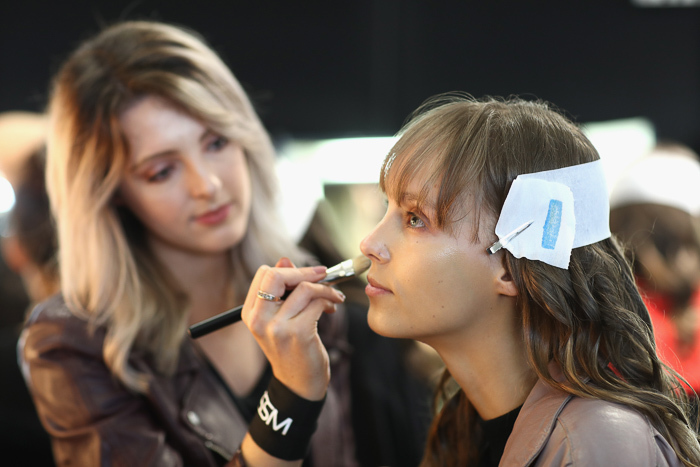 What’s an average day for you like at New Zealand Fashion Week? It varies a lot. Tuesday and Thursday were manic, we had five back to back shows and each one was overlapping so that was full-on. Generally we’ve been doing three to four shows a day then less shows on the weekend. How do you work with the designers on their makeup looks? I do it all by Skype and email. We’ll create the looks at school then send the designers photos and get feedback and do it that way. It works that way with a lot of other aspects of the business anyway. Then I come up to Auckland on Monday for the opening and am here until the following Monday. NZFW was a family business for you in the beginning with your mother as director and your sister working on it as well. What has it been like to work with your family in that way? It’s been good because I get to walk away being in Christchurch. I don’t live and breathe it as much as they do. It’s talked about a lot around the dinner table though. I remember one day on my birthday I said to mum and Myken ‘We’re not talking about fashion week today’. Well about five minutes into dinner they started talking about it so I just got up and walked out. We were in April, not anywhere near fashion week and they couldn’t help but talk about it. (Laughs). Designer Richie Rich and Pamela Anderson at the A*muse show NZFW 2009. Image supplied. What stands out as your NZFW highlights? Without my team, I’ve had amazing experiences, but now I have seniors on my team I let them shine. My favourite times at fashion week have been the likes of Pamela Anderson’s show, doing someone’s makeup like that. 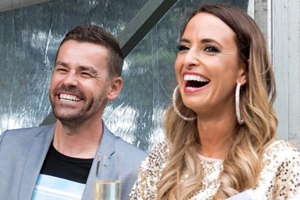 Even this week where this celebrity came from Australia, Imogen Anthony, and the whole commotion and energy around them and the excitement, I find it entertaining. 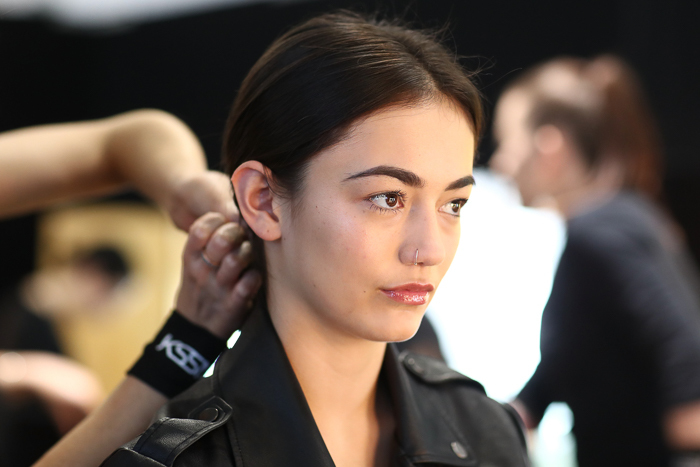 How do the global beauty trends play into fashion week makeup? They kind of do but this year everyone wanted natural, sheeny makeup. We did a few crazy ones though. I love doing the graduate shows and working with the new designers, it’s great to listen to their excitement and group shows can be really fun. It’s interesting as well because they all want their own look but you’ve got four different designers in one show so two each have to share a look. This year we had one that wanted red lipstick all over the face and the other wanted nothing so I said there was no point me trying to come in the middle of it, they needed to sort it out and figure out a compromise which worked. Sometimes they want really crazy stuff and I have to let them know what’s realistic, usually they understand. What keeps you coming back to fashion week aside from the family connection? It’s a really fun week and my team are really on a high, they just love it. They couldn’t be happier and I love them being so excited. It’s not glamorous, it’s a lot of work, but I love it. What’s your advice for people who love makeup and want to make it a career? If you love makeup and you want to get into it, you don’t have to have done it before. I didn’t know how to do it when I started. Our courses start right at the very beginning like on how to apply foundation and we’ll spend days on it to get it right. We only take ten people at a time so it’s very one on one which is great. If you want to do makeup get into it, but you also need to realise that what you see on Instagram is not fashion makeup. Everyone thinks that they’re a makeup artist on Instagram, but fashion makeup isn’t all about your cut crease or your crazy shading. Being a makeup artist is about being versatile and being able to do anything you’re asked to do. If you’re working with someone and they want the makeup changed don’t get offended, if you don’t think it’s not going to suit somebody then speak up and go for a compromise. If you love makeup go and do it, find the right school for you. 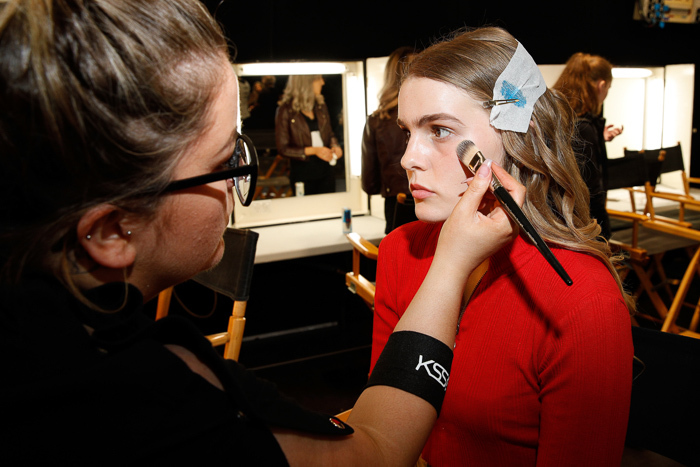 Find out more about Kristen Stewart School of Make-Up.